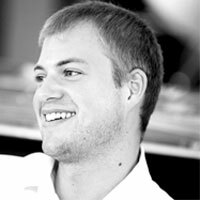 Tom is an exciting young lighting designer with a background including product, graphic and packaging design. He is currently working at BDP on projects including large retail developments in the UK and Russia, a public realm masterplan in Cambridge, a prestigious residential façade in Moscow as well as UK based healthcare projects. As lighting design continues to thrive as a profession, Tom is increasingly involved in education of young designers and students.